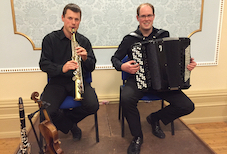 With a fresh take on world music Paul and Michael take their instruments on an international tour – enjoy the sultry sounds of the Tango, the rhythmic drive of the Balkans, along with rip-roaring tunes from Russia and Scotland. Virtuoso playing and fresh musical ideas, Paul and Michael explore the potential of their instruments in a way that is exciting and engaging. They take the strength of each instrument’s traditions and blend them into their own unique brand of fusion music.The result is a vibrant, intriguing and occasionally explosive mix of music that crosses cultural boundaries. Both musicians grew up in Southern Scotland, and a common interest in traditional music brought them together. Whilst still maintaining these traditional roots, the combination of Michael’s jazz influenced style, and Paul’s classical training come together to create a dynamic performance bursting with energy – the various instrumental combinations add even more to the diversity. Paul is a highly accomplished player with appearances at international music festivals such as Baltica Harmonica in St. Petersburg – Russia, Sata-Häme Soi Accordion festival in Ikaalinen – Finland, and the world famous Edinburgh Fringe Festival, held annually in Scotland. He has also performed in France, Italy, Greece, Bahrain and the USA. In 2011, Paul released his debut solo album entitled “Classical Accordion” featuring a mixture of transcriptions of works by J.S. Bach, Rameau, Moszkowski and Khachaturian, as well as original works by Alexander Nagayev and Franck Angelis. He made his Bridgewater Hall debut with a solo recital as part of the long established Manchester Mid-Days concert series in 2013 and completed a major national tour of concerts in July 2014 to coincide with his CD release ‘Accordion Sensations‘. The disc features a mixture of solo repertoire by Scarlatti, Zolotariev and Weber as well as and chamber works by Piazzolla for which Paul is joined on the recording by violinist Feargus Hetherington and the Maxwell String Quartet. He has also performed with Ute Lemper and the Scottish Chamber Orchestra, the Paragon Ensemble, Scottish Opera Connect Orchestra, and is a founder member of the Scottish Tango Ensemble. Paul has been featured on BBC Radio 3’s ‘In Tune’ programme with Sean Rafferty, performing live in the studio, BBC Radio Scotland’s ‘Classics Unwrapped’ and California’s KDFC Classical Music Radio Station in San Francisco. Paul also performs regularly as leader of HotScotch Ceilidh Band. 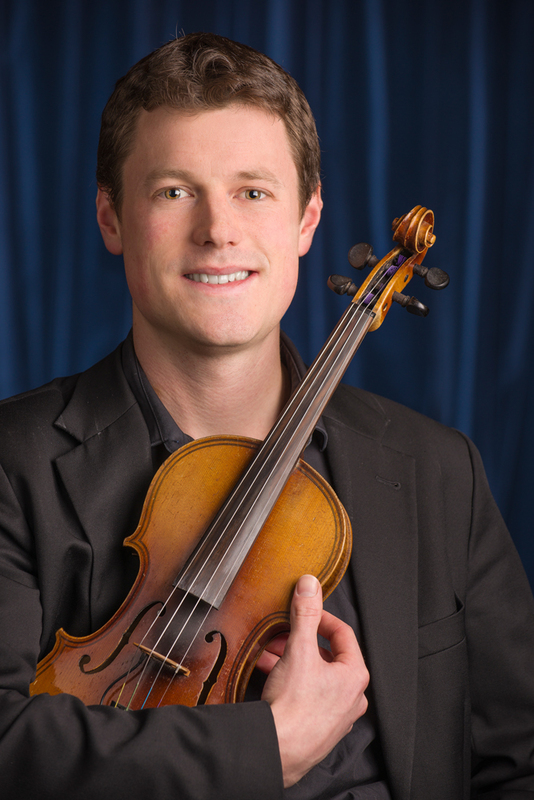 A virtuosic performer on many instruments, Michael has appeared in many of the countries leading venues including the Glasgow Royal Concert Hall, Sage Gateshead, The Barbican London, and has played on BBC Radio Scotland. He qualified with an honors degree in folk and traditional music from Newcastle University with a major in wind instruments. Michael spent five years working for Live Music Now, a prestigious scheme founded by Yehudi Menuhin and has provided hundreds of concerts across the UK, Europe and the Middle East. 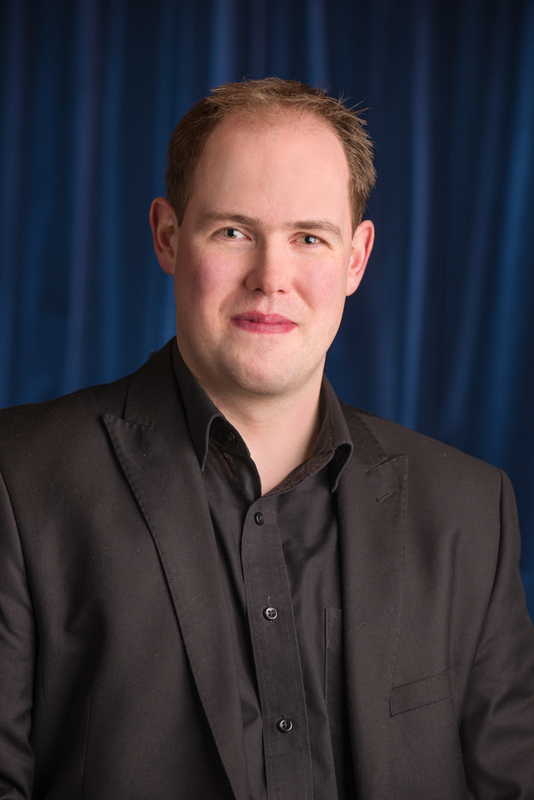 Michael is committed to music education and is a PDGE qualified teacher. He currently works, teaching music, in Earlston high school. An inspirational teacher to many, he is ambitious, passionate and encouraging.